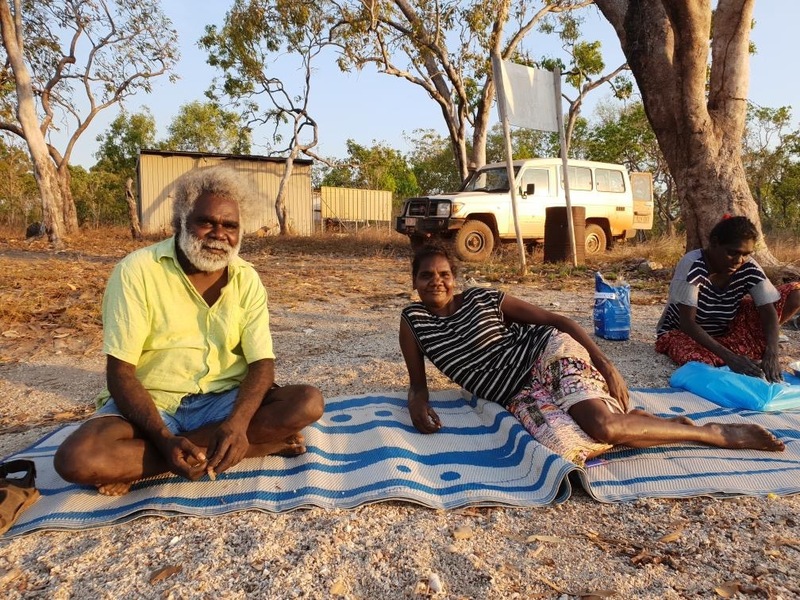 This article is assembled from fragments of a conversation with seven Yolngu educators from Gapuwiyak School in Arnhem Land. Gapuwiyak was established in 1969 by Methodist missionaries and representatives from several clan groups with homelands in the area. All of the men and women working as educators in the school remember a time before, when they were taught solely by their parents and Elders. 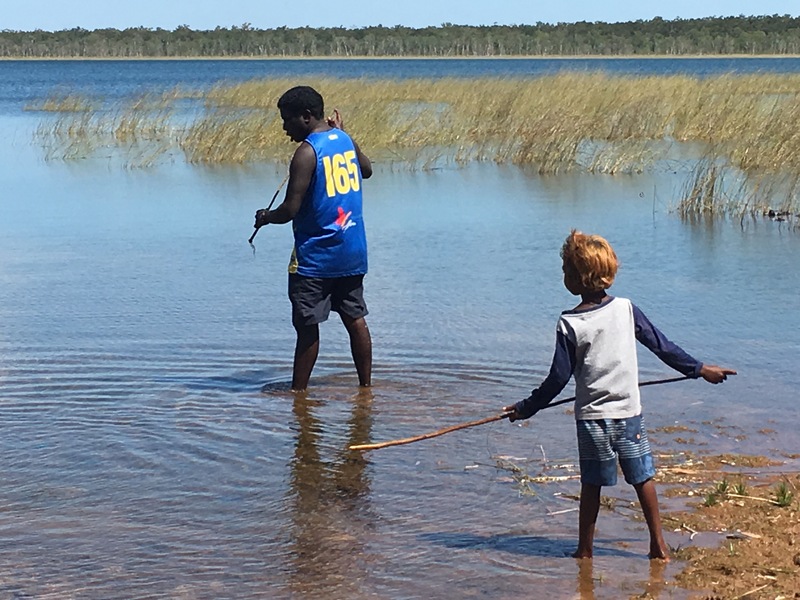 Now, at a time when two ways of seeing the world are trying to flourish on what common ground they can find, this conversation provides some insight into Yolngu ways of learning. Yolngu people learn about their culture and country through family, from their parents and Elders. This traditional way of passing knowledge along kinship lines continues to this day. Knowledge is communicated in stories and brought to life in song, dance and works of art. The stories are about the land and its use by people over time. By learning the stories, songs and dances, children come to know their place and the people with whom they share it. The stories form a cosmological anthology that stretches across great distances in great detail. Just as groups of people are made up of individuals, so the land is divided and each person - each family - speaks for their part. Connections to land can be traced in the names and on the bodies of Yolngu people during ceremony. At such times connections are reinforced and stories retold. Woven through Yolngu cosmology is a way of life, modelled by older people and followed by the younger ones. Learning about this way of life ensures that young people are able to live in harmony with the land, and understand the roles and obligations they each have to it. The songs, dances and stories of Yolngu culture live in the Yolngu people, in the land that has been their home for tens of thousands of years. The continuity of that culture through intergenerational knowledge transfer ensures that young people grow up with a strong sense of who they are and that old people have an opportunity to fulfil their responsibility to teach their children. 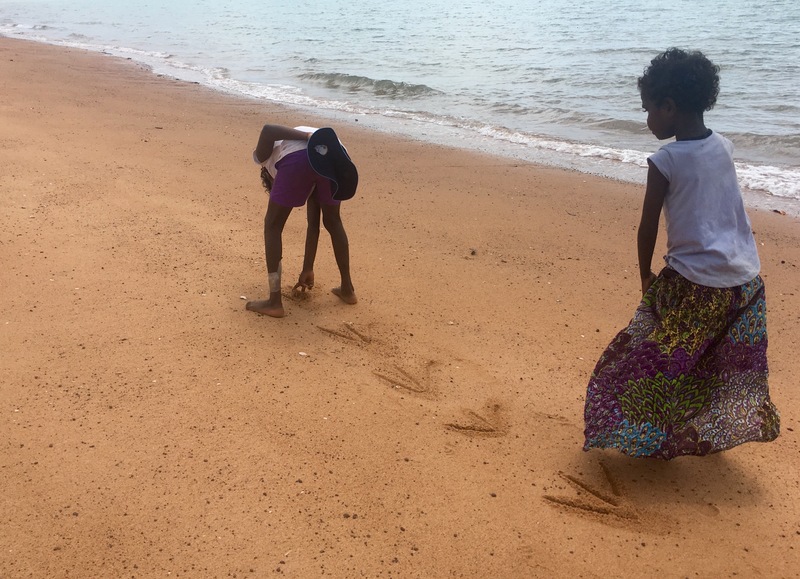 Yolngu people continue to teach younger generations on Country today. Learning about culture remains central to growing up and knowing who we are. The opportunity for young people to learn from their family and Elders is integral to ensuring intergenerational transfers of knowledge. 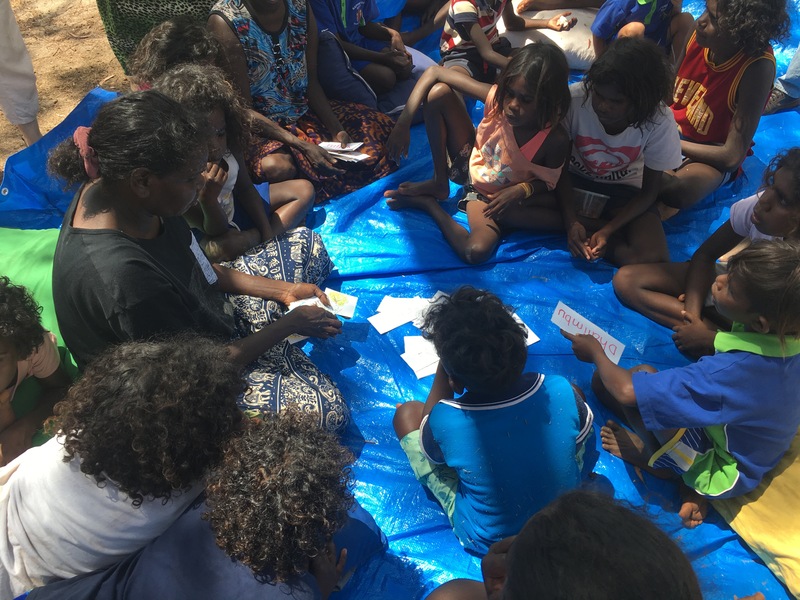 Through learning ‘two ways’, young people are able to continue to practice the ceremony, songs, stories and connection to Country that has existed in their part of the world for thousands of years. This piece was prepared by Daniel Silver on Yolngu Country.